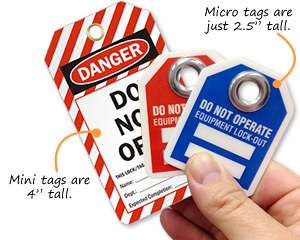 Customers use our mini safety tags for space-constrained applications, such as control panels and smaller instruments. 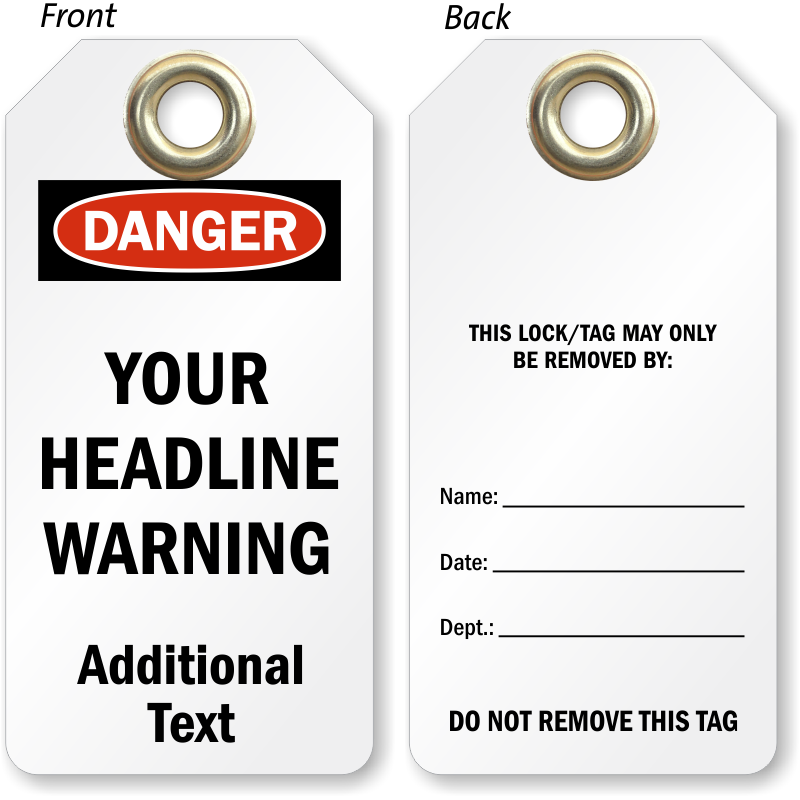 Using the same design as our standard sized tags, our mini tags are a handy option and easy replacement. 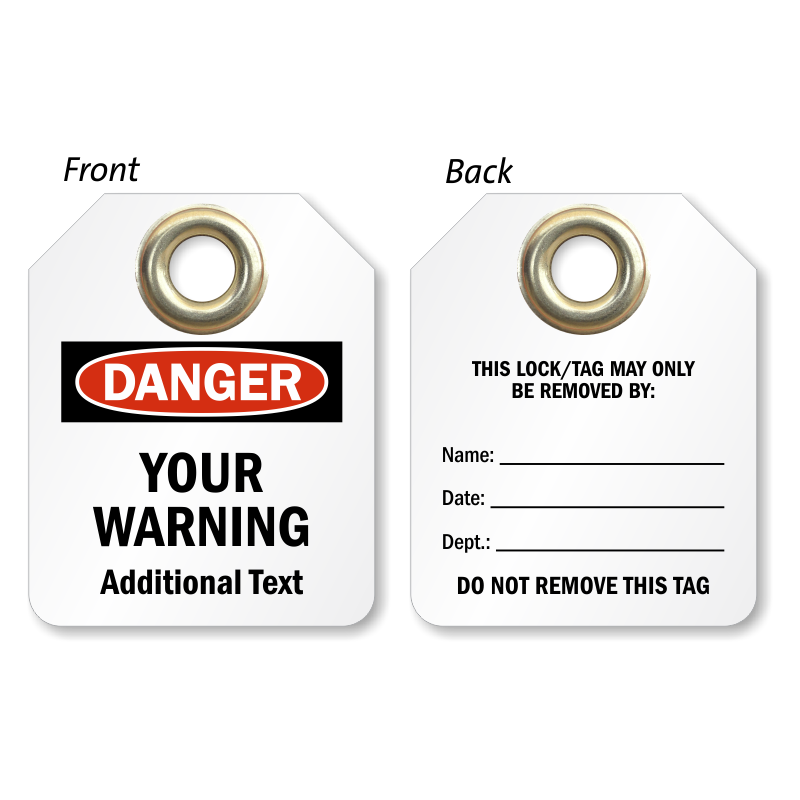 • All tags are made using 30-mil thick thermally laminated plastic. • Find two different sizes below. Micro tags are 2.5" tall and Mini tags are 4" tall. • Tags include a brass eyelet with an inner diameter that can easily accommodate a lock shank. • Some micro tags are offered in up to 4 colors, so you can identify components swiftly. 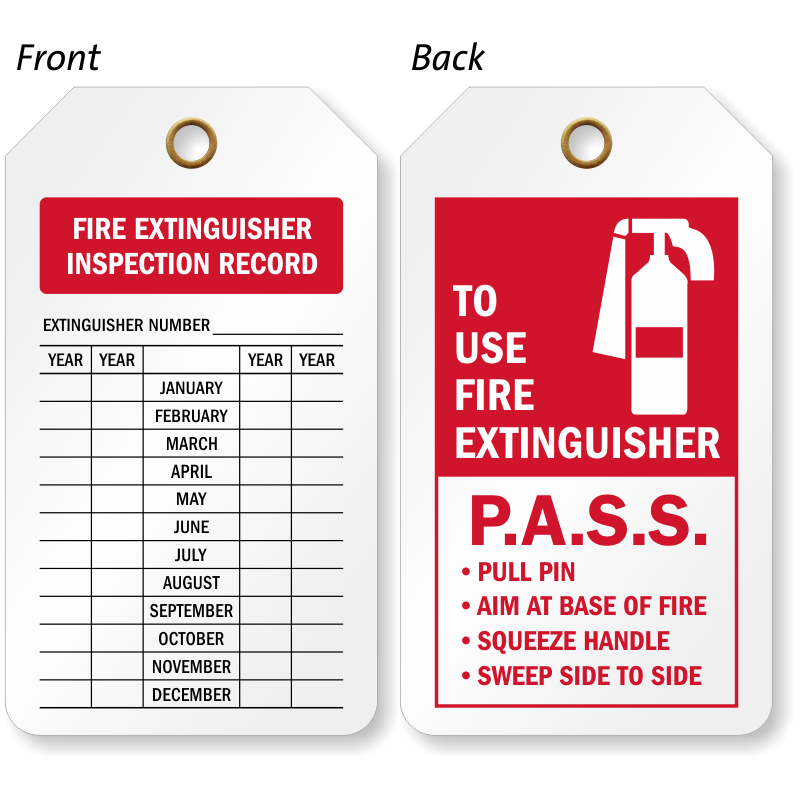 • Input your safety information on the front and back of the tag using a pen or marker. Tags are just 2.5” tall and 2” wide. They are “right-sized” for many lockout programs in that they do not obscure the electrical control, breakers, etc. Identify each electrician’s locks with these color-coded tags.Tags are 2.5” tall. The size is perfect and still an attention grabber. small tags, two thumbs up. Just what we needed to clean up our LOTO process. Small tags cut down on clutter. They are exactly what I was expecting in this type of tag.